Super Mario Sunshine 2 is one of the most hotly requested sequels out of Nintendo’s history, and for good reason. Super Mario Sunshine 2 is a game that I don’t just want, but need. I’ve waited patiently since the 2002 release of Mario Sunshine for the Nintendo Gamecube, and there has been nary a word about a sequel, with Nintendo seemingly forgetting about one the greatest platformers they’ve ever made. There have been references to Mario Sunshine in games like Super Smash Bros. and Wario Ware Gold, and they always feel like such tantalizing teases. When will we get a Super Mario Sunshine 2? With a bit of luck and pixie dust, it may just be that Nintendo finally listens to our plea to get Mario back on Delfino Island to spray goo and take down Bowser Jr. once more. We need an HD remake of Super Mario Sunshine for Switch. The Legend of Zelda: Wind Waker and Twilight Princess both got one for the Nintendo Wii U, but the Mario classic Sunshine was surprisingly left out of the HD remake lineup. Bringing Sunshine back into modern-day pop culture is a must if we’re to eventually get a sequel. It’s already a gorgeous game for the Gamecube, and has stood the test of time. Heck, even Mario 64 got a remake for the Nintendo DS in 2004. With a game as vibrant and fun as Sunshine, it only makes sense that Sunshine HD is announced for the Switch sometime soon. Super Mario Galaxy got a sequel, and boy did that feel like a slap in the face of every Sunshine superfan. Sure, some would say that the Galaxy games are some of the best games on the Wii, let alone the best out of every game ever, but for me, they were never as fun as Sunshine. 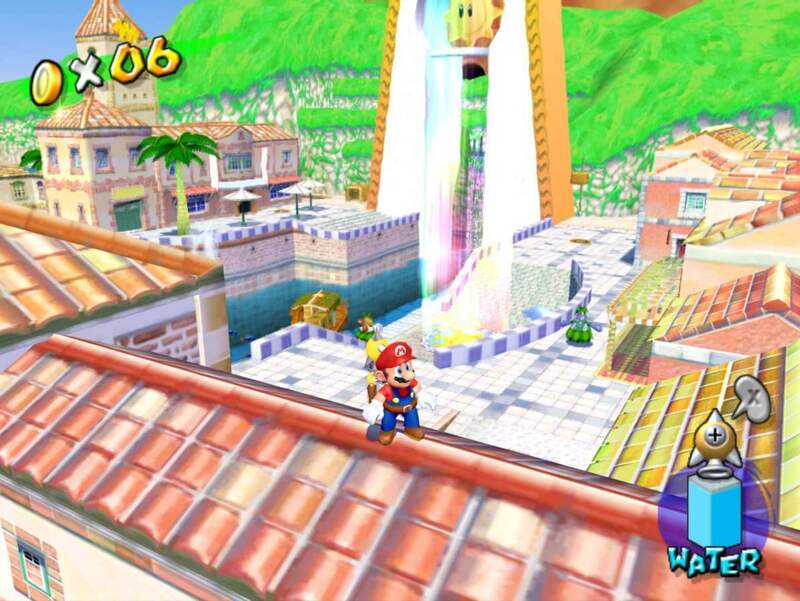 There’s a feeling in Delfino Plaza with the chill tropical music and cute locale that wasn’t present in Galaxy 1‘s hub world. Super Mario Odyssey was an epic title, and a great way to start off the Switch with a bang. This game is amazing, and has some great physics, but still hasn’t satiated the thirst I have for a Sunshine sequel. I really hope that Nintendo thinks to make Super Mario Sunshine 2 before they make another Mario Odyssey. Sure, that’s a bit selfish, but hey, the heart wants what it wants. FLUDD is an amazing tool, and no, it does not make Sunshine‘s platforming too easy. On the contrary, I find that the challenge is to extend your jumps out as far as you can, with great airtime being aptly rewarded with delicious collectibles or mission objectives. There has yet to be another Mario platformer with physics even somewhat close to Sunshine‘s. I want to explore the world using a water jet pack, because it feels like an awesome mix between being James Bond with a jetpack and a Waterbender from Avatar: The Last Airbender. The level designs compliment FLUDD so well that I’m still finding myself enjoying the game just as much as I did when it first released. It’s not unheard of for games in modern age to see seemingly random sequels. Nintendo Wii M-rated title No More Heroes just saw a sequel release this month in Travis Strikes Again: No More Heroes. That’s a niche game, and is a lot more so than one of the most popular games for the Nintendo Gamecube in Sunshine. Hell, even Psychonauts 2 was announced at the 2018 Game Awards. There is a market for bringing back long-lost series in the modern age. 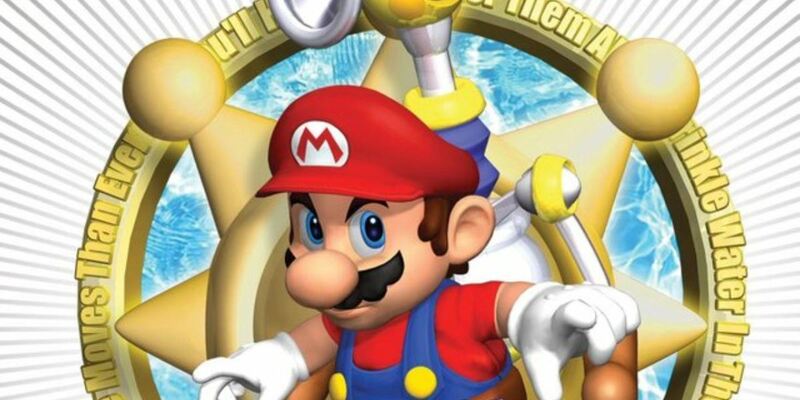 Give us the Mario Sunshine sequel that we want Nintendo, and we promise you to buy it. I personally would be lined up at midnight at a local Gamestop to get my copy of Super Mario Sunshine 2. Nintendo brought back the Metroid Prime series from the dead, with the FPS series skipping the Wii U altogether, but landing a fourth title in the Prime series, now in development for the Swtich. The drive to make Mario Sunshine is there, as is the audience. You can feel this sort of excitement in the air, and now the ball’s in Nintendo’s court. Do you think ‘Super Mario Sunshine 2’ is going to be announced soon?